Induction Sealers Seal Aluminum Laminated Lining to the top of plastic containers. This lining consists of several layers of materials typically one metallic layer over a thermoplastic layer. When the container is positioned next to an active induction head, one or more induction coils excite the metallic molecules of the metallic layer. This ultrahigh frequency vibration causes the metal layer to heat up, which in turn melts the thermoplastic layer of the lining causing it to fuse to the top of the container. This seal is hermetic and impermeable to gases. In effect the lining becomes part of the container. From this point on nothing enters or exits the container until the lining is punctured. 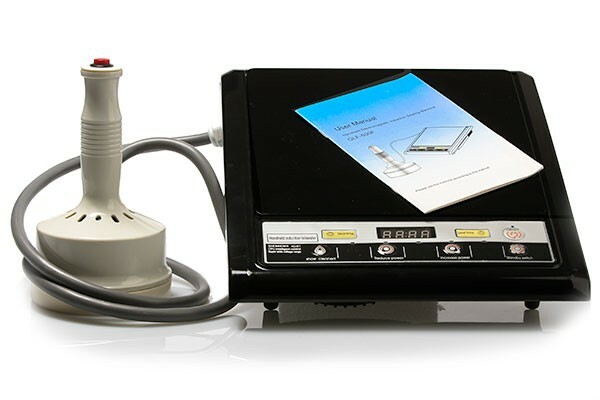 For this reason induction sealers are used widely thought the pharmaceuticals, lubricant and cosmetics industries. The process is extremely simple, and can be accurately repeated time after time.. Neither the container nor its contents are affected, and this all happens in a matter of seconds. 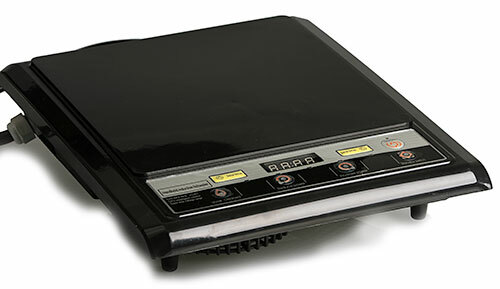 This unit is an Economical Light and Portable Handheld Induction Sealer. it has a capacity of 1200 watts and powers up with standard household 110v current. It can seal a variety of induction seal caps from 20mm to 100mm. It has a sealing cycle of up to 2o caps per minute. It features and automatic shut down function, a recall button and several time and power adjustments. It also has a main housing cooling fan and a cooling fan on the actual hand wand. The insulated-gate bipolar transistor (IGBT) is a three-terminal power semiconductor device primarily used as an electronic switch and in newer devices is noted for combining high efficiency and fast switching. 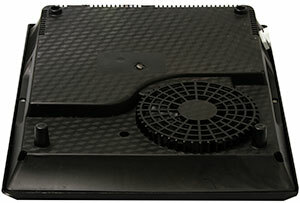 Machine Size: 19.2" x 12.6" x 5.3"
Seal time (left)- Reduces the seal time. Seal time (right) - Increases the seal time. Show Cleaned - Displays the last time and power setting. 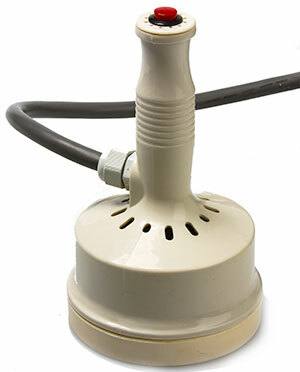 Standby Switch - Activates sealer (just like the red button on the hand wand. (2) sample bottles and caps to test out. Some of the information contained in this listing derived from WIKIPEDIA and is available HERE..